The world’s first known flight fully staffed by LGBT+ people is due for take off from London Heathrow Airport in June 2019. The LGBT+ pilots and cabin crew will head the one-off ‘Pride Flight’ to New York, which is the first American city to host the World Pride event next year, on June 28—the day marking 50 years since the beginning of the Stonewall riots. Virgin Atlantic and Virgin Holidays teamed up with NYC & Company, New York City’s official marketing, tourism and partnership organisation, to bring the Pride celebrations to 38,000 feet above the ground. 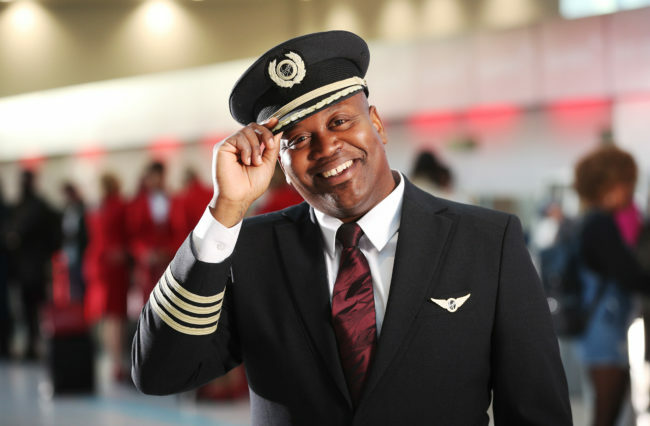 They have enlisted Broadway actor and Unbreakable Kimmy Schmidt star Tituss Burgess to be the master of ceremonies during the flight, which promises to feature on-board entertainment including an on-board DJ, drag queen bingo, a Judy Garland singalong and inter-seat speed dating. “At a time when we’re seeing the rights of minority groups under threat, it is more important than ever we stand up and make our voices heard,” Burgess said. “The LGBT+ community has made enormous strides over the last 50 years, and I’m so proud to partner with Virgin Holidays and Virgin Atlantic to mark this occasion in style and celebrate the hard-won freedoms from those who came before us,” he said. “As a City founded on diversity, inclusivity and a welcoming spirit, we’re extremely pleased to host World Pride 2019—the first time the big event will be held in the United States, while at the same time marking the 50th anniversary of the Stonewall Uprising,” he added. Ticket prices start at £380 for the flight-only Economy Light experience, but holiday packages including accommodation at a New York hotel start at £699 per person. Virgin will donate a portion of ticket sales to The Attitude Magazine Foundation to promote community initiatives in the UK, as well as arrange fundraising and raffle activities on board. Virgin is the latest company announcing special initiatives for the half-century anniversary of the 1969 riots that gave birth to the gay rights movement. In September, American baseball team the New York Yankees revealed plans to spend $50,000 on scholarships, which will act “as a springboard for young LGBTQ student community members,” to mark the occasion.